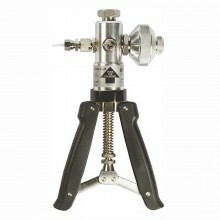 Includes: 700HTP-2 Hydraulic Test Pump, ¼ inch NPT to ¼ inch NPT adapter, (2) ¼ inch NPT male to ¼ inch BSP Female adapters, ¼ inch NPT Tee (installed), Instruction sheet. 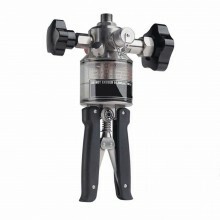 NB: This pump is on a long lead time from the manufacturers. 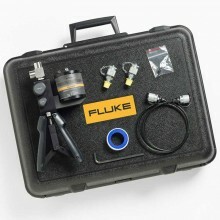 Designed for use with Fluke-700 series high pressure modules such as the Fluke-700P09, 700P29, 700P30 and 700P31. 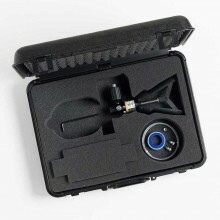 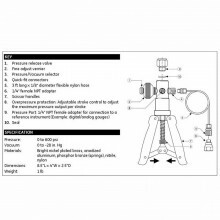 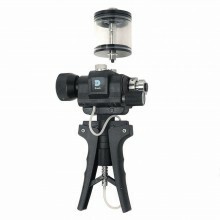 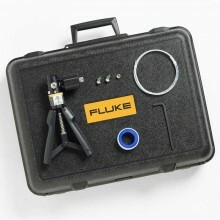 Ideal for calibration when connected to a Fluke high pressure module via the reference port. 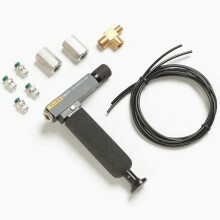 The 700HTP-2 uses distilled water or mineral-based hydraulic oil as a source for calibration of high pressure input devices such as pressure transmitters or pressure gauges. 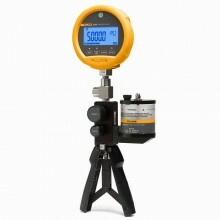 Can also be used with Fluke 717 pressure calibrators. 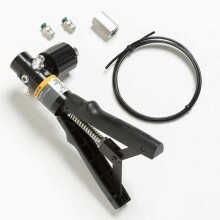 Before you connect the Pump to the Unit Under Test (UUT), the Pump must be filled with fluid and primed for use. 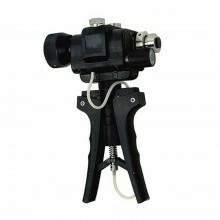 Variable size stroke adjustment, allows the user to vary the volume and pressure per stroke. 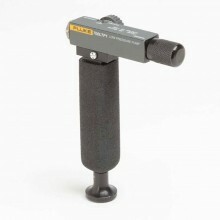 Integral pressure adjustment vernier knob for fine pressure adjustment. 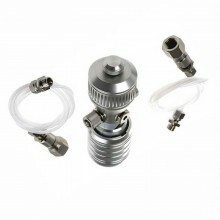 Directly connection to pressure modules consolidates two separate pieces into one when performing pressure calibration and testing. 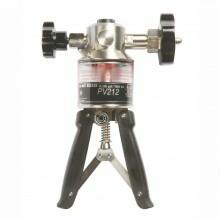 Two ¼ inch NPT pressure ports, one for reference (pressure module or gauge), one for UUT. 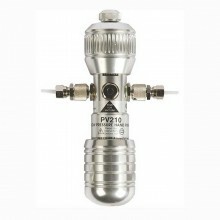 Compatible with optional Fluke-700PRV pressure relief valve designed to protect pressure modules from overpressure damage. 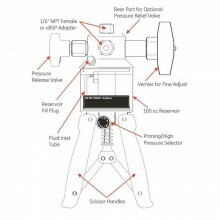 Maximum pressure 10,000 psi (690 bar). 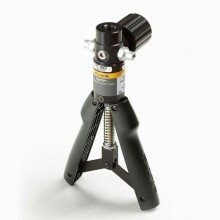 Size (L x W x D) 9.5 x 6.1 x 2.6 in (241 x 155 x 66 mm). Weight 1.29 lb (.58 kg). 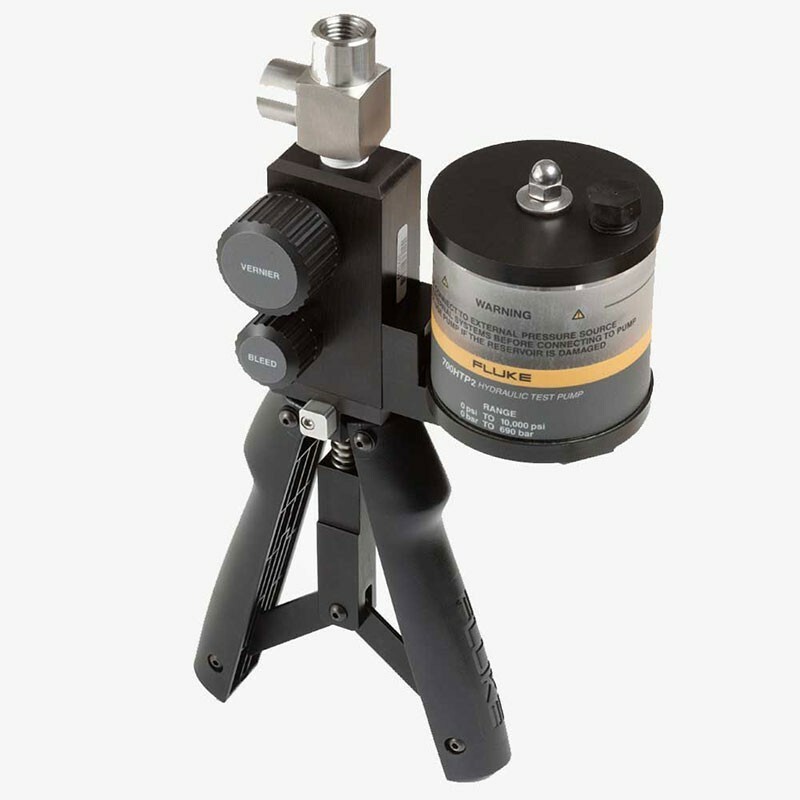 Hydraulic media Distilled water, mineral based hydraulic oil, or up to hydraulic oil 100 (30 W). 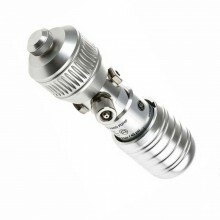 Material Wetted materials: 303 stainless steel, aluminum, polyurethane, PTFE, nitrile, and nylon. 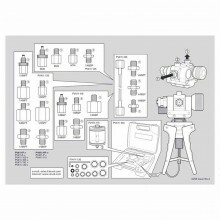 PDF Instruction Sheet for the Fluke 700HTP-2 Hydraulic Test Pump.